Toronto Dresses (Toronto Dresses) - Bridal & Evening Wear Boutique with 3 locations in Canada (Toronto, Etobicoke/Mississauga and Barrie) is a full service family owned store with a beautiful and inviting atmosphere. We carry a big selection of Bridal Gowns, Evening Dresses, Bridesmaid Dresses, Special Occasion Attire, Flower Girl Dresses, Mother of the Bride and Mother of the Groom Gowns, Cocktail Dresses and Prom Wear to suite any price range, body type and color preference. Our Accessory Collections of Veils, Tiaras, Headpieces, Gloves, Crinolines, Shawls and Jewelry Sets will complement and complete Your Perfect Look for Your Special Day. 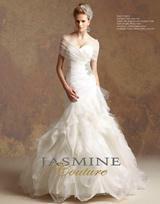 Visit Toronto Dresses Bridal Store to see the bridal collection imported by Toronto Dresses directly from Europe. Wedding dresses are handcrafted from the luxurious European fabrics and decorated with finest Austrian Swarowski crystals and genuine stones. The Toronto Dresses’s bridal collection was shown at the Canada’s Bridal Show and the Total Wedding Show and had an enormous success among brides. If you are on a tight budget, however you still prefer to purchase a never worn new dress at a good price we invite you to visit our Clearance Department where you can find a great bargain at cheapest price in Toronto. At Toronto Dresses’s Clearance Department our previous lines of designer Wedding and Evening dresses are reduced up to 80% OFF the original purchase price! Want to save money on your wedding? 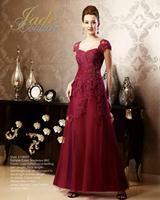 However, you still prefer to wear stunning and fashionable wedding dress and accessories? New!!! Toronto Dresses Bridal & Evening Wear boutique offers a variety of fashionable wedding dresses, veils, tiaras, gloves, crinolines and shawls for rent at cheapest prices you simply will not find anywhere else! 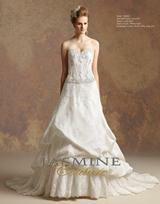 Toronto Dresses Bridal Store prides itself in personalized attention and excellent customer service. 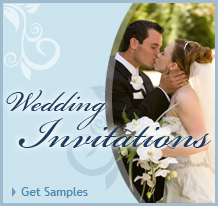 We know that a Wedding Day is one of the biggest and most important days in a woman's life. Every bride is a special bride to us and our aim is for you to feel fabulous on your Special Day and to make your wedding one to remember. Our friendly and helpful bridal associates will assist you in choosing your dream dress that best suits your particular figure and personality. The satisfaction of the bride on her Wedding Day is our highest priority! Our clients become our friends, and they tell about us to their friends...that says a lot. For those web visitors who are not from Toronto or GTA we invite you to learn just how easy it is to work with us from any distance. Especially for you we operate our Online Store. Anything you see at our web site can be shipped to you anywhere in the world. 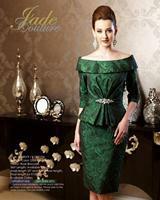 You always wanted to have the Dress of Your Dream? Well, now it is possible, we can make all Your Dreams come true! In preparation for the most memorable Day of Your Life, let it begin by visiting Toronto Dresses Bridal Boutique and allowing us to assist you with our Professional Service, Reasonable Prices, Relaxed Atmosphere and the Full Attention to all your needs. Thank you for visiting the TorontoDresses.com website! Please take the time to browse TorontoDresses.com website thoroughly and do not hesitate to Contact Us with any questions you may have. We look forward to seeing you or hearing from you soon!